Before I left for a vacation in Venice, I promised some work friends that I would bring back some religious stuff for them as gifts. At work, we had investigated the possibility of rosaries blessed by the Pope, but found that most of these were really only scams. Therefore it made sense to bring back prayer cards to people’s name saints. Over the last 20 years I had not noticed that prayer cards were becoming rarer in churches; I can remember some recently in Rome although I paid little attention to them. In Ravenna, I saw prayer cards in the shop for San Vitale, but not in churches. I overhead a tour guide at San Vitale mention that people might like to visit the Basilica di Santa Maria Maggiore which was beside it. Santa Maria Maggiore was dedicated to Mary of the Tumors and was the only such one in Italy. To my surprise, in the chapel dedicated to the saint, was a variety of prayer cards. First set of promises satisfied, even though not name saints. 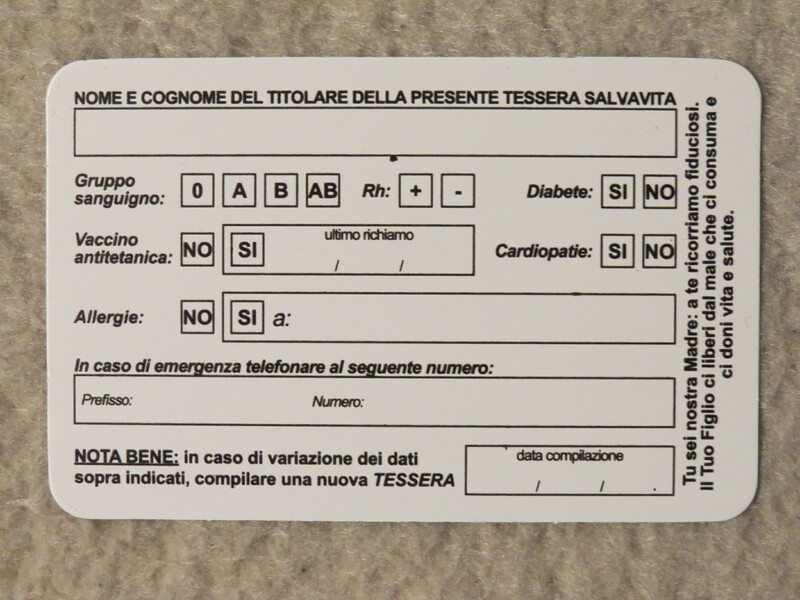 It is interestingly a medical card. It represents the intersection of faith and knowledge, where religion meets science. As such, it represents a philosophy that you can ask for help, but you must also help yourself. In Venice, I only saw prayer cards at San Marco and San Salute, and on both occasion they were in shops. On the last day in Venice, I went to the church of San Geremia to see the corpus of Santa Lucia. There were prayer cards at every altar and you could take one for a ‘donation’ on an honor system (although the suggested donation was stated). So, everyone gets a prayer card. 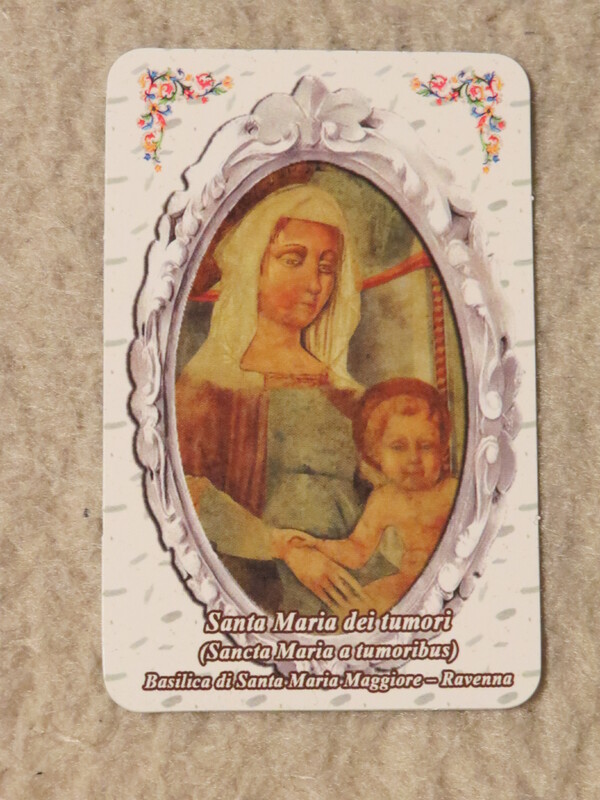 The lucky few get the Lady of Tumors prayer and medical card from Ravenna. So bless you but take care. Déjà Vu. Déjà Vu. And Déjà Vu again.